Dog Daycare Supervisor Programme (DDS) is a thorough, complex course, preparing the learner for a career with both fun and responsibility. 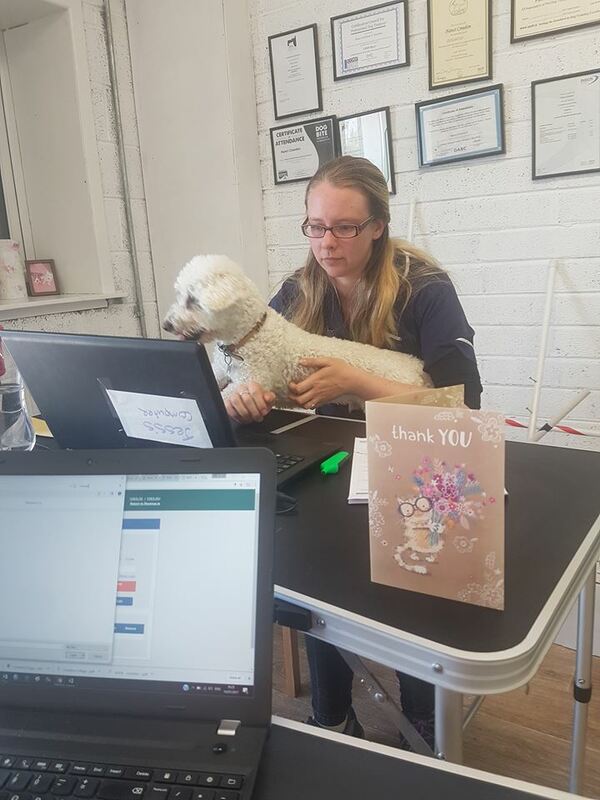 The Dog Daycare Supervisor is responsible for ensuring that the business operates smoothly and successfully from a staff and dog care point of view. The supervisor will work extremely closely with management, and will have a lot of responsibility and control over the day to day activities. To apply, you must first successfully complete the Dog Daycare Assistant Programme. This programme is delivered from our centre in Cork City over three-month period. Learners are required to attend four full day classroom sessions delivered through two weekends, and 20 days’ work placement at an approved dog daycare centre. The role of the dog daycare supervisor is multifaceted. Ensuring the safety of the dogs under your care are one of the priorities of the role. The dog daycare supervisor must be able to ensure that the dogs are all safe and happy at all times, whether the supervisor is on site or not. This module will help you understand how to ensure this happens. A dog daycare environment usually has a tight-knit team of staff. Guaranteeing this team operates in a happy and harmonious manner, pulling in the same direction, is vital. The supervisor is responsible for maintaining a happy team and this module will help you to learn how to ensure this happens. Safe temperament tests and evaluations are an essential in maintaining a safe daycare environment. This module will cover a variety of different methods to conduct dog daycare temperament tests, behaviour evaluations, and induction processes to help you determine the best way to introduce new dogs to your daycare environment. The role of the dog daycare supervisor will also include carrying out administrative duties to ensure your daycare environment operates smoothly. This module will introduce you to the different type of administrative duties you may be responsible for as dog daycare supervisor. Difficult clients are a feature of almost all industries, and how you handle difficult clients can have a massive impact on the reputation of the business. As Dog Daycare Supervisor, you will usually be the first to interact with complaining clients. Ideally, the supervisor will resolve the complaint successfully without having to escalate the complaint to the owner / manager. This module will prepare you for how to do so. No two dogs are the same, and the daycare environment is not ideal for all dogs. In a daycare environment you will often need to work with dogs that pose more of a challenge than the average dog. This module will help you to determine which dogs can be worked with, and which need to be removed, as well as walking you through the process of dealing with many behaviour problems that you are likely to face. This module covers the day to day running of a dog daycare from the dog daycare supervisor role. It includes how to successfully operate check ins and check outs, how to schedule a successful daycare routine, how to organise play groups and so much more. Learners will take part in a 20-day work placement programme where the knowledge and skills acquired in this module can be implemented.